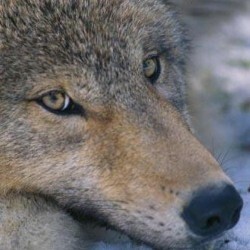 The National Wolfwatcher Coalition, with seven other plaintiffs including the Wisconsin Federated Humane Societies and the Wisconsin Humane Society, have filed a lawsuit against the Wisconsin Department of Natural Resources (DNR) against the department's new rules on the ordained Wolf Hunting Season and the authorization of using dogs as a method to hunt wolves. More specifically, the coalition is suing the DNR for failing to comply with a statute that requires the department to put restrictions on training and hunting with dogs and also in an attempt to mandate a safer proximity between the dogs and wolves. According to the Wisconsin State Journal, experts from the University of Wisconsin in Madison have submitted evidence that attempts to show how dogs that are used to hunt wolves are likely to suffer injuries or even be killed by wolves. Restrictions from the DNR will curtail these liabilities. "In short, we challenge the validity of the wolf harvesting rules on the basis that DNR does not have the legal authority to declare rules that either authorize or facilitate the violation of existing Wisconsin law," said the coalition's press release. "By failing to include reasonable restrictions on the training and use of dogs to hunt wolves, the DNR effectively authorizes, allows and facilitates cruelty to animals in violation of Wis. Stat. 951, the state law criminalizing animal cruelty and animal fighting." The group is also seeking an injunction to stop the hunt until the department provides the restrictions that may be needed to provide a safer hunting experience. 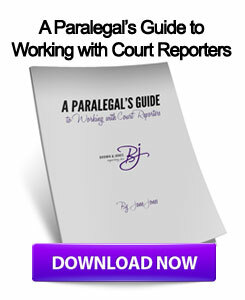 As the litigations begin between the coalition and Wisconsin's DNR, lawyers may want to work with Wisconsin court reporters who can provide high-quality and accurate deposition transcripts as well as video deposition services. This entry was posted on Thursday, August 9th, 2012 at 3:35 am	and is filed under All Posts, Wisconsin Legal. You can follow any responses to this entry through the RSS 2.0 feed. You can skip to the end and leave a response. Pinging is currently not allowed.